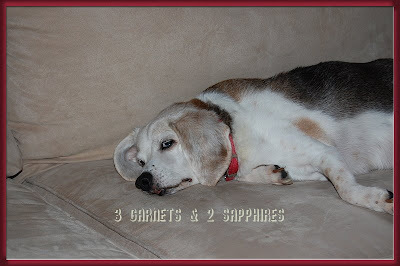 Our poor old Beagle Buddy turned 15 years old this past July. That's 105 in people years. He's lumpy, arthritic, and has bad teeth, but our veterinarian says he's in pretty good health otherwise. Buddy also went through a period where he had to be on a special dog food diet due to a sensitive stomach. After this, we switched to Bil-Jac because it is extremely easy to digest. It dissolves almost immediately once it reaches the stomach. You can see for yourself by wetting a few pieces of food and then watching how quickly it falls apart. We did not try the Bil-Jac Senior formula until now because we were worried that our Beagle would not eat it if it was more bland than the regular variety. We were pleasantly surprised that our old dog Buddy ate every bit of the Senior dog food even after we moistened it for him. Since then, I've come to learn why Bil-Jac food is so appealing to dogs. It seems that it is less processed than most dry dog foods. Rather than having chicken and other ingredients ground into meal, pressed into pellets, baked, and then having the flavor and nutrients sprayed on afterwards, Bil-Jac pasteurizes the chicken and other ingredients (similar to cooking it in a pressure cooker) and then dries it with nothing sprayed on at the end. This way the ingredients haven't lost all its original flavor and nutrients. I guess you do learn something new everyday! You can learn more about Bil-Jac dog food and treats on Bil-Jac.com and can find Bil-Jac at most retailers where finer pet products are sold. Thank you to Bil-Jac and the Family Review Network for providing us with a review product free of charge.